On the left is the template we used to create the cube art. 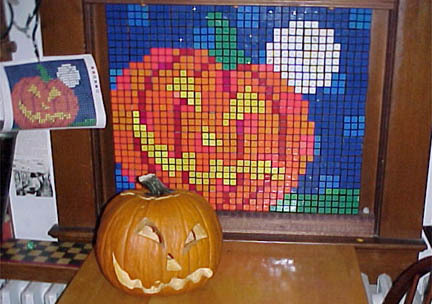 In front, the pumpkin used to create the template. Not shown, the farm used to create the pumpkin.